As brand campaigns become increasingly multi-media and multi-channel, you tell us it is difficult to determine what elements of the campaign really had an impact on sales. sales uplift of 7.5% or above, is your target higher than this? 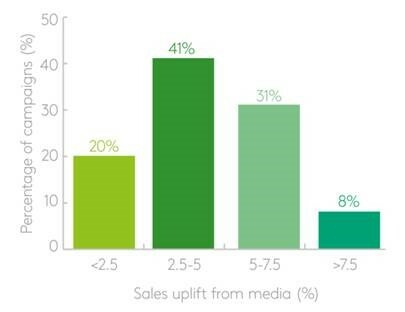 Kantar knows how to get a better return on your media investment by accurately quantifying the effect that marketing has on purchasing. Watch our video to learn how we can help you understand your share of voice against that of your competitors. Did your media campaign work?